DANGER AREA - Fissile core storage "IGLOOS"
Barnham had 4 distinct areas for storing the fissile cores from BLUE DANUBE and RED BEARD. Each core was stored underground in a metal (some reports of lead/aluminium, steel) container with a hefty metal lid on it. 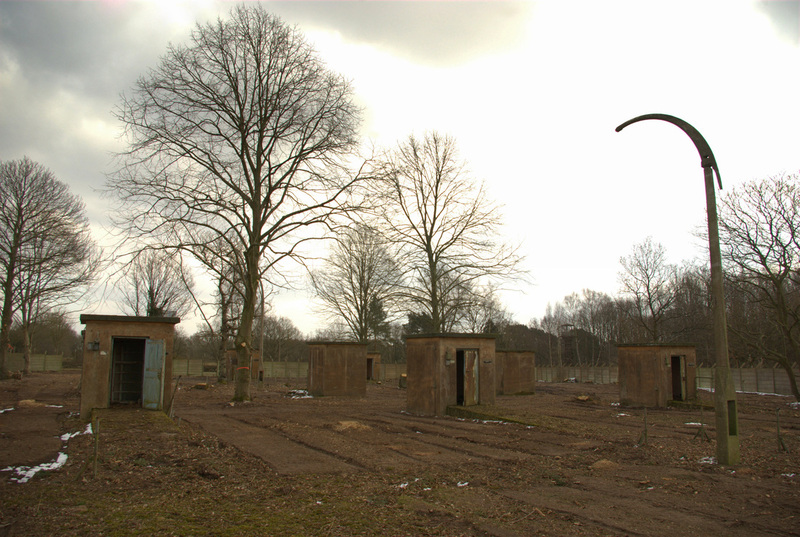 These were contained within a small building approximately 6ft by 5ft known to those on site as an Igloo, but more officially a fissile storage building. It has been reported on the internet that a handful of the slightly larger Igloos on site with 2 core safes instead of one, stored cobalt cores. However, this has not been confirmed and may just be supposition. The Igloos had power for lighting and heaters and were fitted with door alarms which would alert the main guardroom if one had been opened. 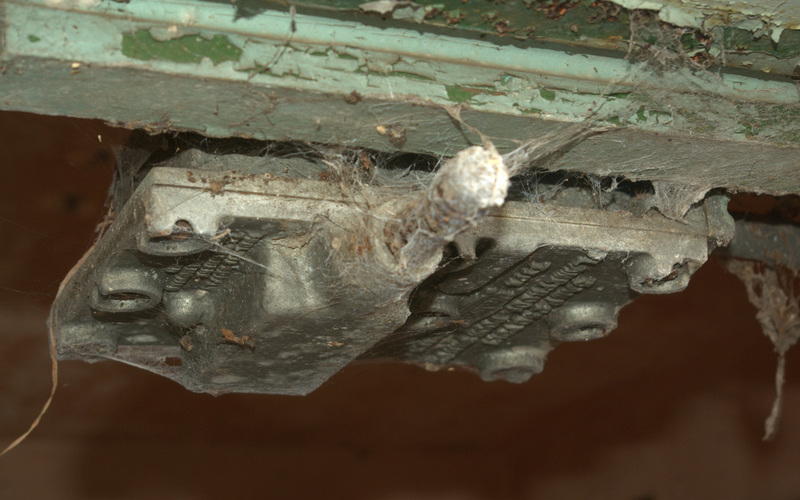 A copper earthing strip ran down the buildings in case of a lighting strike. 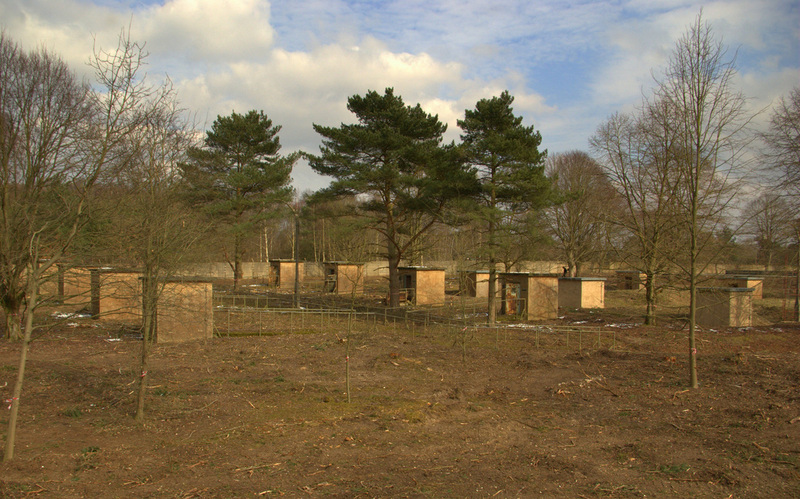 The Igloos were positioned in a very organised manner with set concrete paths and guard rails leading back to the main loop road within the Danger Area. 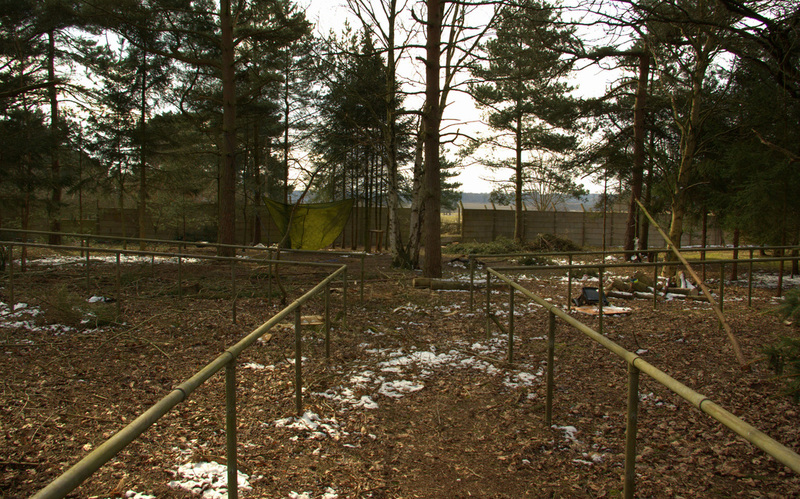 The railings served no purpose other than to neatly mark out the routes to and from the hutches and prevent slipping on the ramps, as it is reported that no flares or trips were within the Danger Area compound. 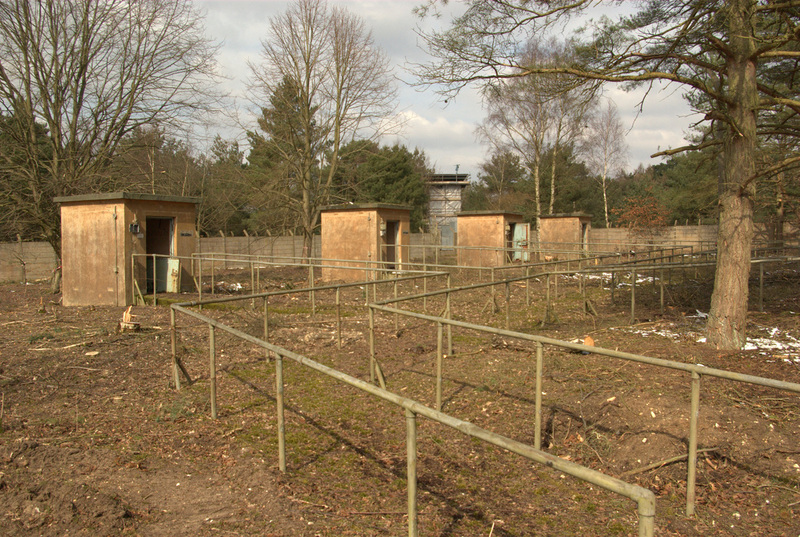 The inner area was not trip-wired like the sterile fence areas. The fissile cores in their cases could be carried on a handle by a single person, requiring no other equipment and were only moved one at a time. A 2 man rule was in place to ensure no-one person could gain access to a core. The Manifoil combination lock on the outer door to an igloo was known only to the Site Officer - a flight lieutenant of the Equipment Branch. The key to the inner safe would be carried by an RAF Engineer officer. 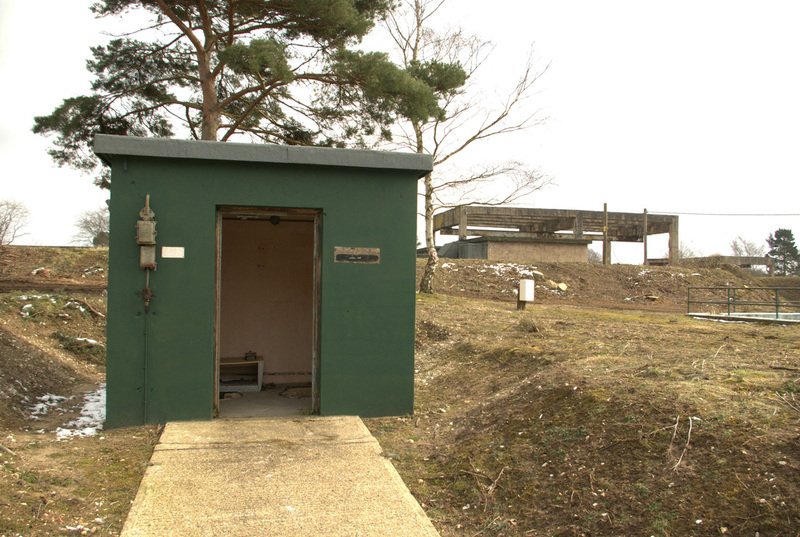 As an additional security precaution, the guardroom would be pre-warned that an Igloo was about to be opened, as it would trigger the door alarm. 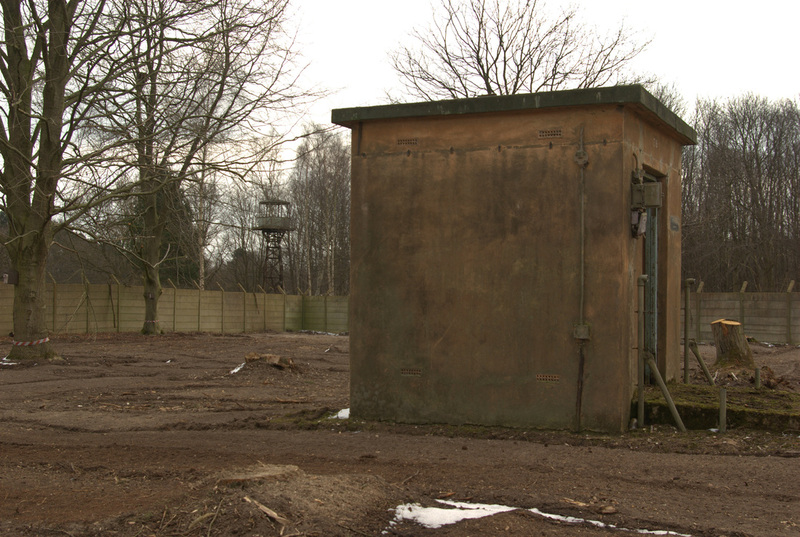 At least one of the sheds was reported to have been used for more normal purposes. 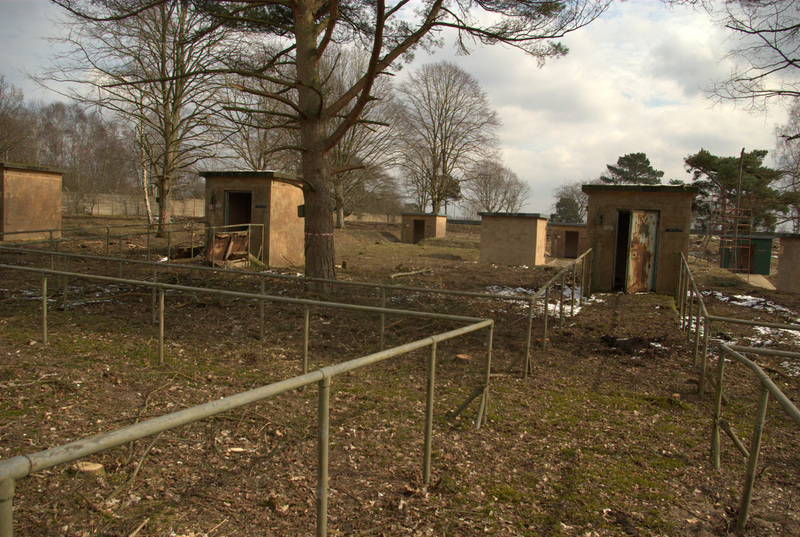 Near to the Eastern Explosives Storage building, one igloo was commandeered to be a paint store by the RAF Stores personal looking after the weapon components in the adjacent large building. This adds weight to the argument that not all the igloos were required to store cores. Picture FC3 © Sam Tolley. 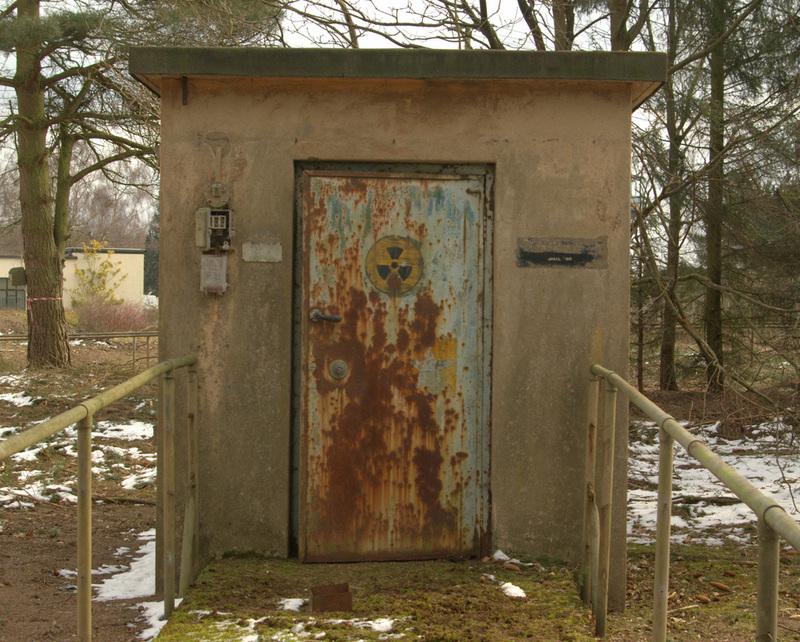 A typical type A igloo viewed from the front with the radioactive symbol on the front. 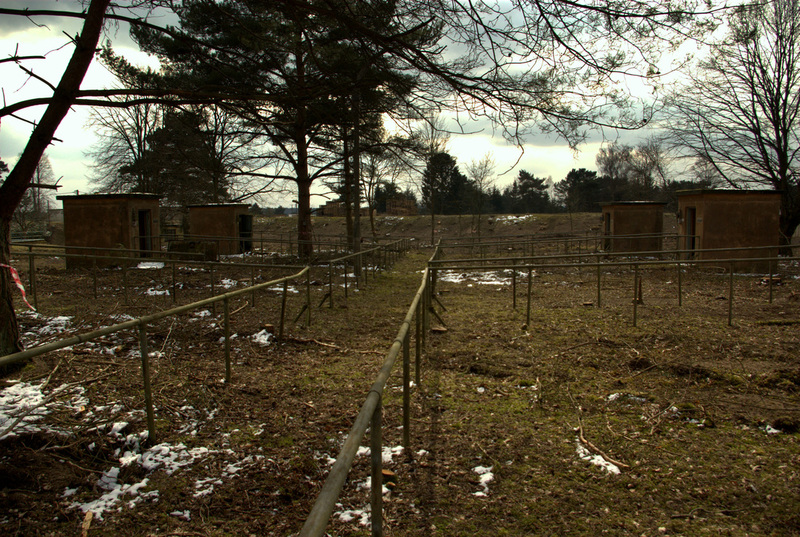 The Igloos had a concrete loading ramp leading down the main path which was bounded by the metal railings. Each Igloo had its own identifier above the door, this one has unfortunately worn off, but I believe it was number "1", situated in the western Igloo area. Picture FC4 © Sam Tolley. The door with the big locking lever and the manifoil combination lock. Picture FC5 © Sam Tolley. A side shot of the door. You can see the locking mecahanism. 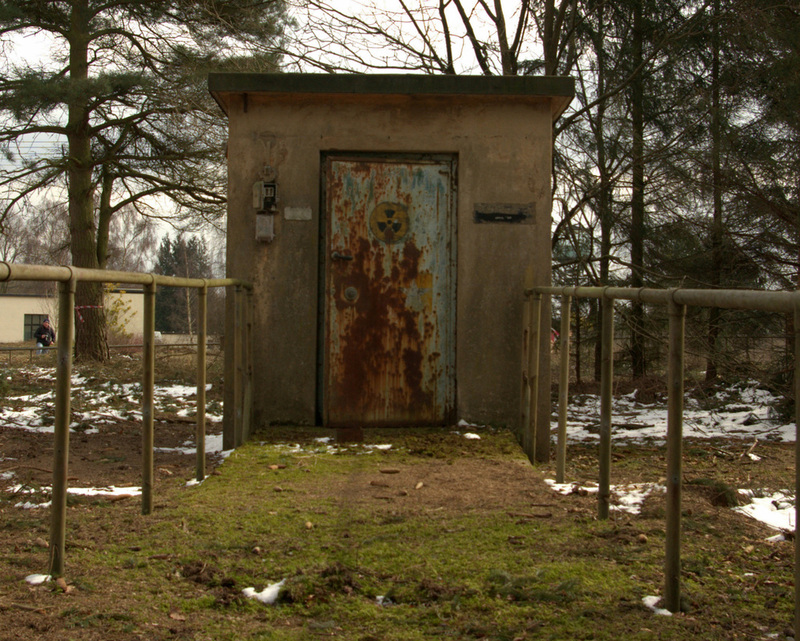 The doors were wood with steel frontages. Picture FC6 © Sam Tolley. The alarm trigger for the door that would alert the guardroom. Picture FC7 © Sam Tolley. 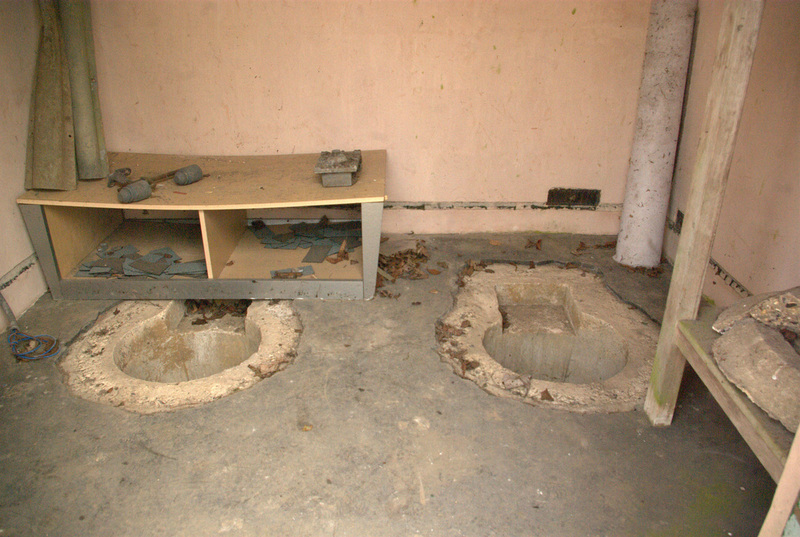 The dug-outs where the safe that contained the core would sit. Picture FC8 © Nick Catford. This isn't at Barnham but is at RAF Wittering. 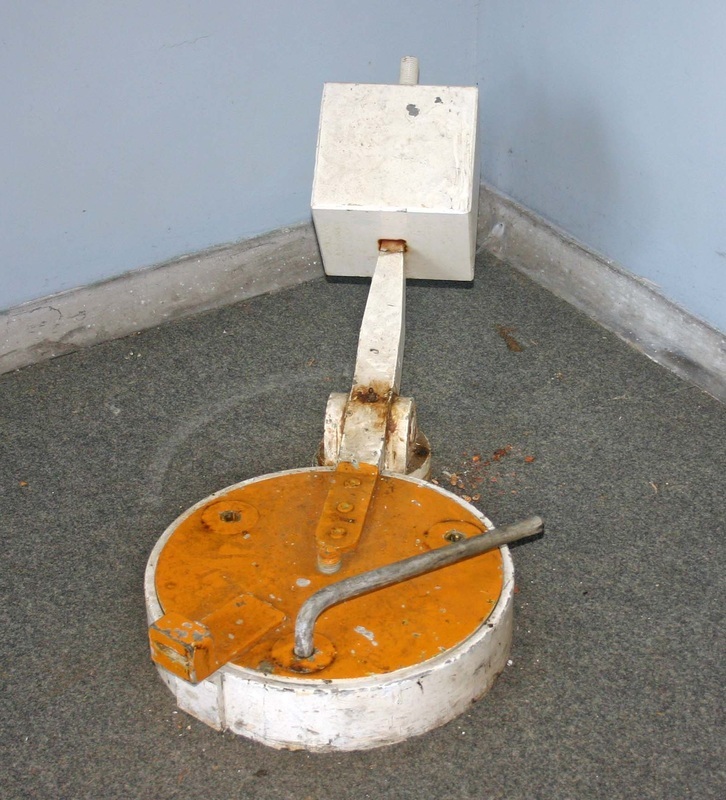 It shows the type of security collar that would have been fitted to the casing that the cores were stored in. A heater can be seen at the back. FC8a & FC8b © Nick Catford. 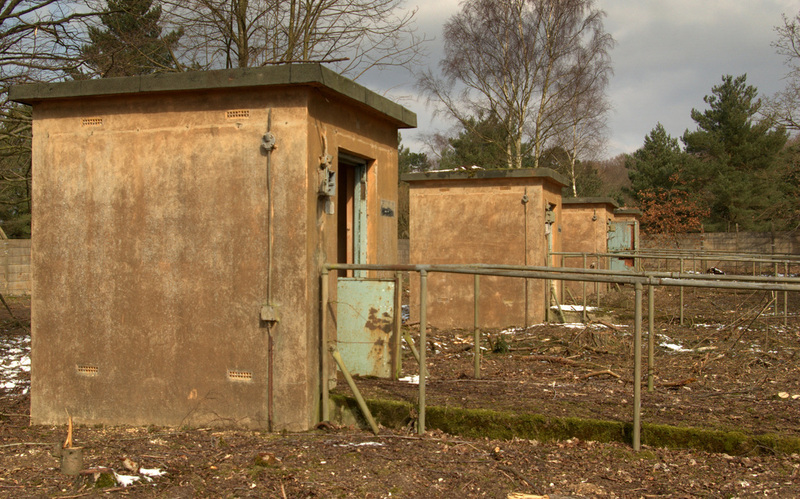 Fissile Core Safes photographed at RAF Scampton in their equivalent of the inspection room. Picture FC9 © Sam Tolley. To the right of each door was this sign "DATE OF LAST LIGHTNING CONDUCTOR TEST APRIL-63". Picture FC10 © Sam Tolley. On the left of each door was another sign, all of which had faded beyond legibility. This one was missing altogether but I believe they were talking about the flame proof nature of the electrics within. 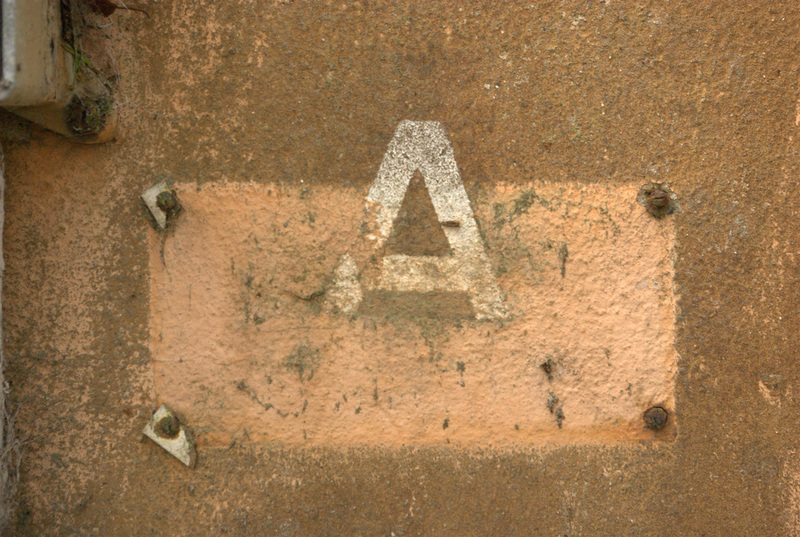 These signs has probably been retrofitted as they covered up the letters as seen here with "A". This refers to the type of Igloo, of which both type A and B were on site. Picture FC11 © Sam Tolley. 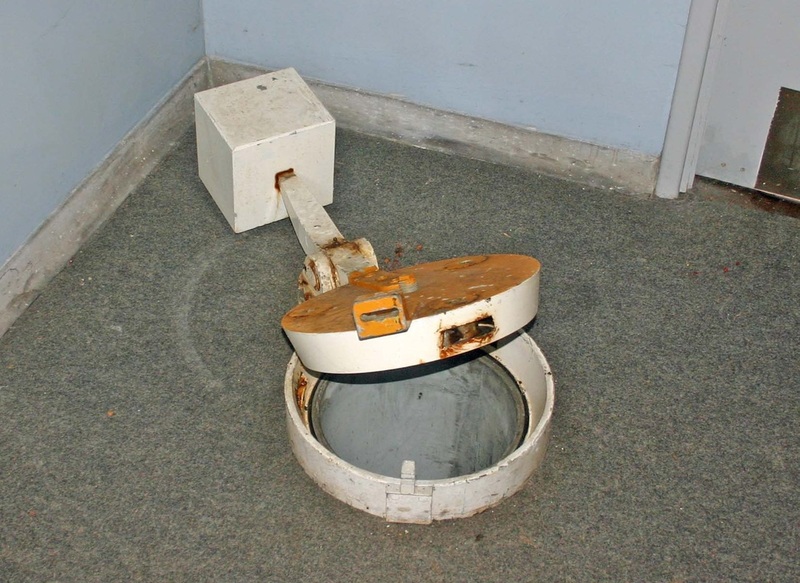 These heavy duty electrical casings were to the left of the door on each Igloo, I'm assuming this was the power in terminal as well as emergency isolation switch. One of the illegible signs is visible to its right. Picture FC12 © Sam Tolley. Another electrical box, this one by General Electric. This was postioned on side wall of the Igloo. Picture FC13 © Sam Tolley. Internal electrics, the alarm trigger is top left. Picture FC11 © Sam Tolley. A close up of the electrics with the complete frontages. Picture FC15 & FC16 © Sam Tolley. The type B Igloo, wider than the type A. This group could house 2 cores at a time and are in the northern Igloo area. 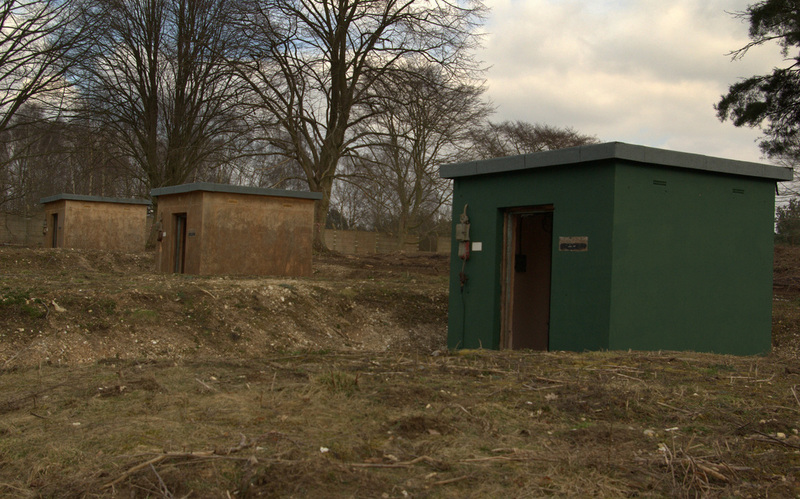 There were several of these wider 2 capacity Igloos, this one has been painted in dark green as part of the heritage work to provide a chronological representation of the site. Picture FC17 & FC18 © Sam Tolley. Each Igloo area had lighting, different in style to the sterile area security lighting. 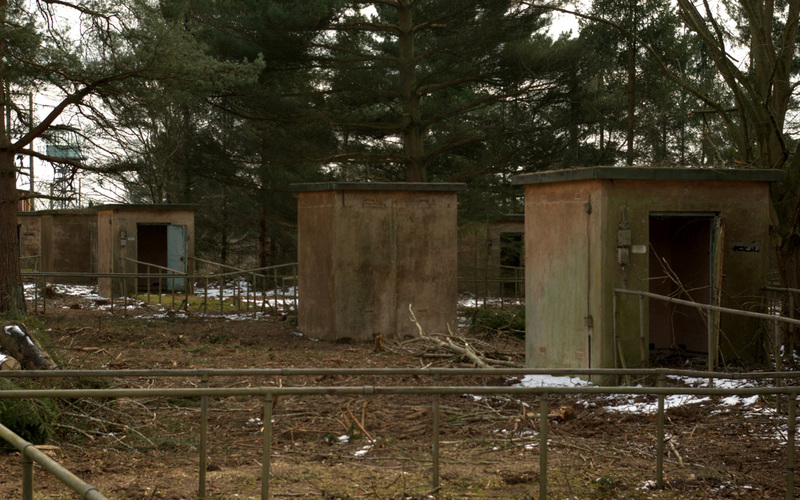 These were more like the 1950s contemporary lighting seen elsewhere across the site. At lease one light in each Igloo area had a fire alarm and a red band painted around it. Picture FC19 © Sam Tolley. This superimposition of signs appears on at least one of the Igloo doors, suggesting that the use of the building may have changed at some point or that different signs were in use before of after the radiological symbol. 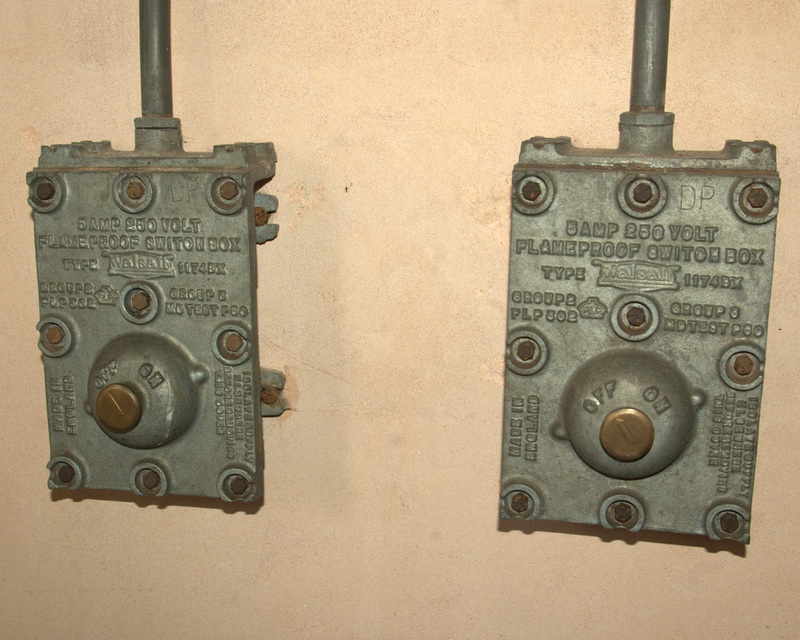 AP2608A should assist in determining the markings. Picture FC20 © Sam Tolley. 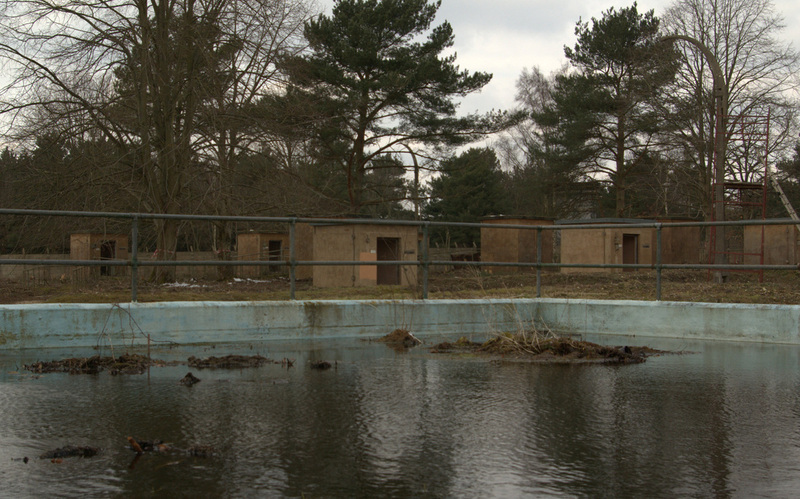 A view of the Igloos in the northern area from the emergency water tank. These tanks would have been used by fire tenders if necessary. Picture FC21 & FC22 © Sam Tolley. Igloos 14 to 17 in the northern Igloo area. 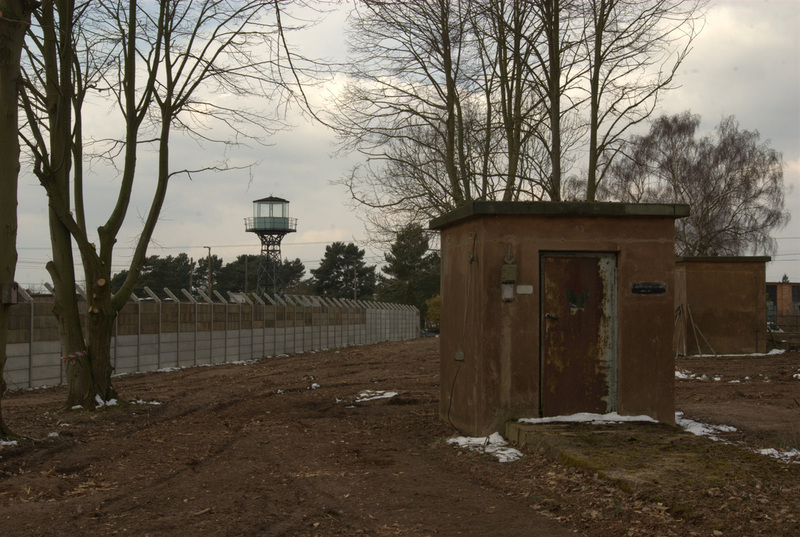 The northern watch tower is visible in the background undergoing restoration in early 2013. Nature has taken back the concrete path within the railings, covering it in soil and moss. Picture FC23 © Sam Tolley. Igloos 19-21 in the foreground, 23 in the middle ground and 52-54 in the background (the double capacity Type B), within the northern Igloo area. Picture FC24 © Sam Tolley. These Igloos in the northern area were in dug outs, probably to enable the Igloo to be at a similar height to the others, keeping them below the height of the concrete wall. The effect of being mounded may be as a consequence of the spoil removed to do this. Picture FC25 © Sam Tolley. Igloo 17 in the northern area viewed from a gap in the concrete wall within the sterile area. Picture FC26 © Sam Tolley. 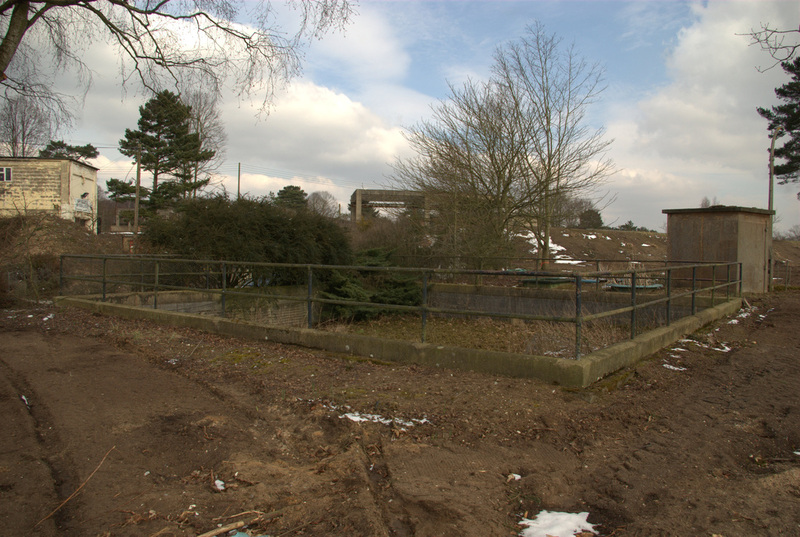 A view of the northern Igloo area area from the traverse that used to surround the now-destroyed western explosives storage building. Picture FC27 © Sam Tolley. 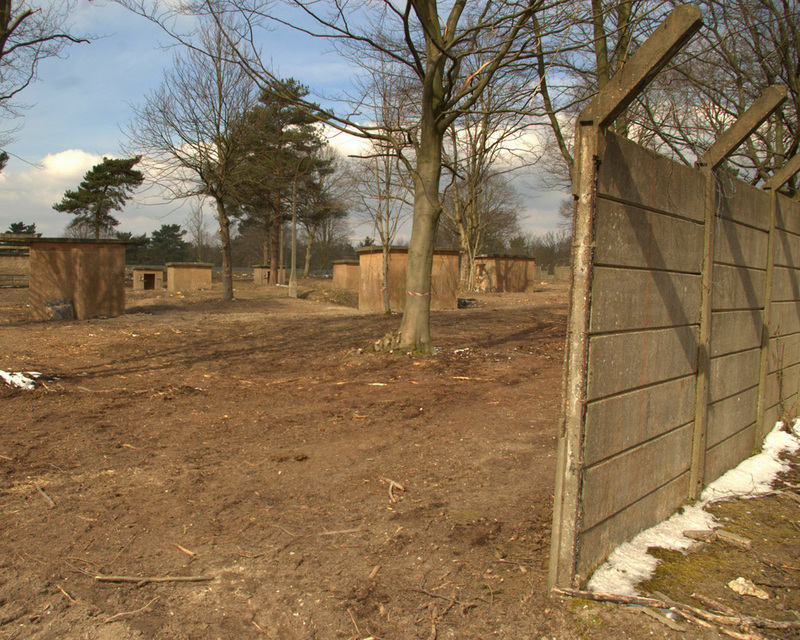 A view of the area from the central U-shaped traverse between the northern and eastern explosives storage buildings. Igloos 25-32 are in the middle ground facing each other and in the background Igloo 57. 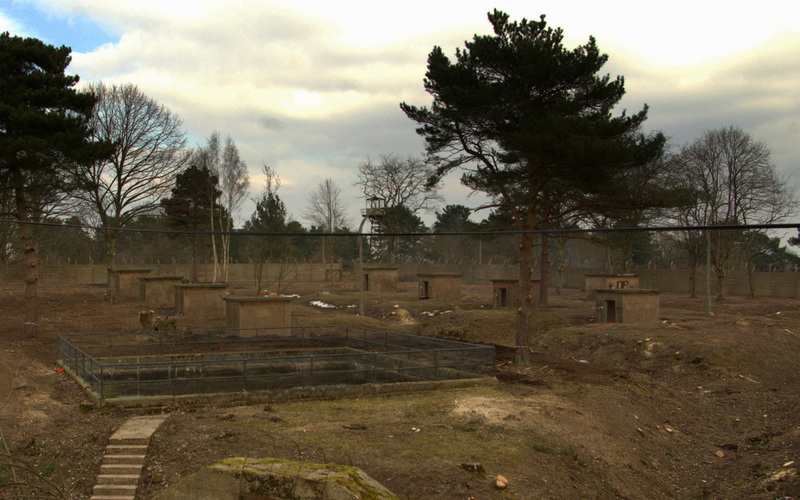 The area's emergency water tank is in the foreground. In the centre background is the watch tower, under restoration as at August 2013. Picture FC27 © Sam Tolley. Igloo 30 with the concrete inner wall and decayed watch tower (being restored as at August 2013) in the background. You can see how the ground is at a higher level than the base of the building. Picture FC28 © Sam Tolley. 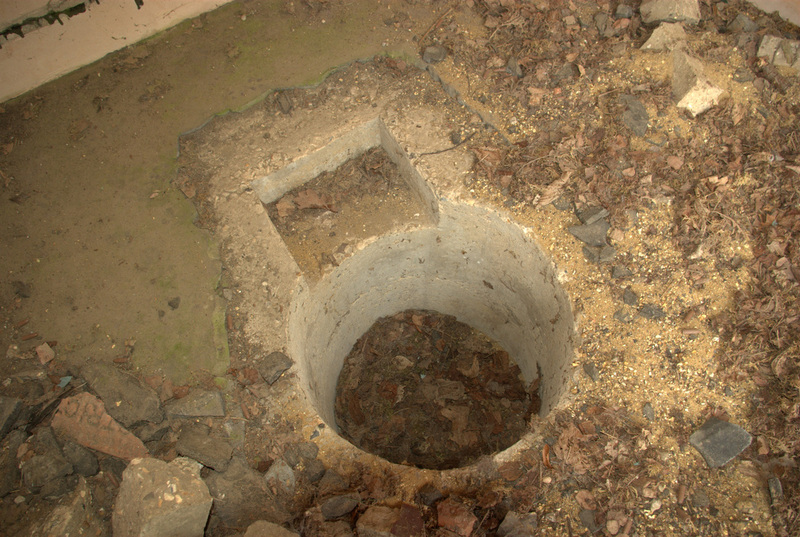 A view of the area through some missing sections in the concrete wall. Picture FC29 © Sam Tolley. 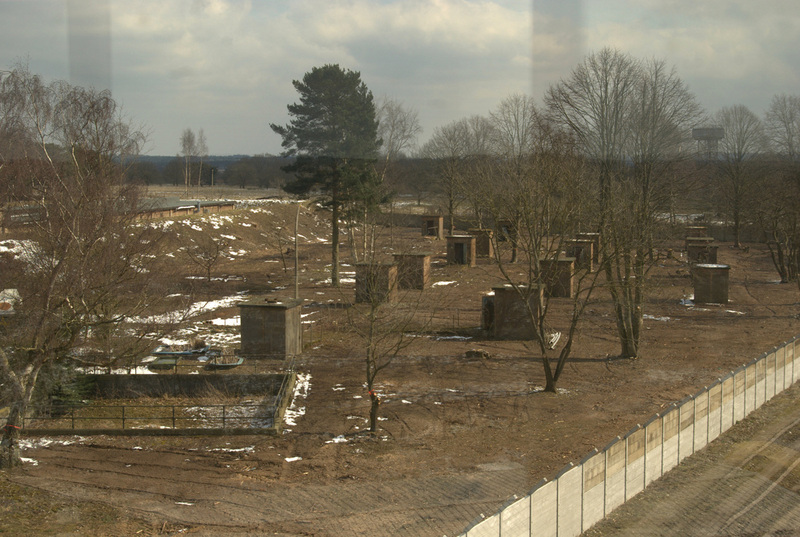 A view of the area from the southern watch tower near the main entrance showing the SE Igloo area. The emergency water tank can be seen image left. Picture FC30 © Sam Tolley. A close up of the water tank. Picture FC31 © Sam Tolley. Igloo 36, with the SE watch tower to the rear. Picture FC32 © Sam Tolley. Igloo 43 with the southern watch tower in the background. Picture FC33 © Sam Tolley. A group of Igloos and a 1950s style lamp post. Picture FC35 © Sam Tolley. Another shot of the railing layout and a slight hint of the ramp inclines to the Igloos. Picture FC36 © Sam Tolley. 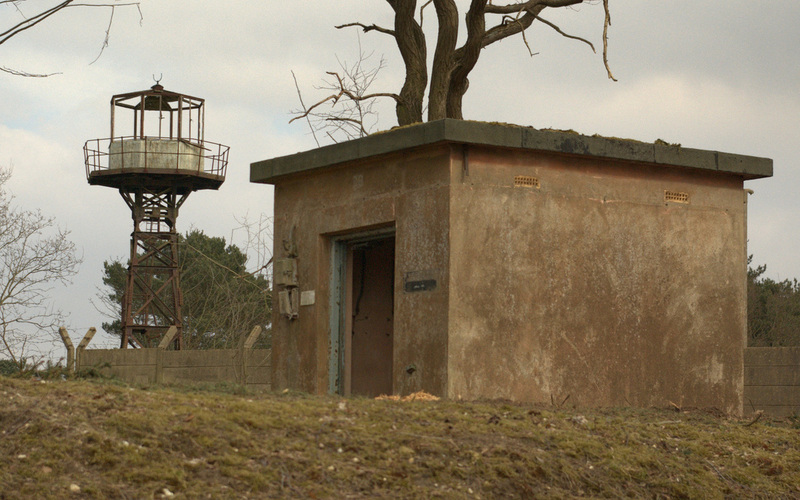 Looking towards the main entrance's southern watch tower. Picture FC37 © Sam Tolley. The concrete ramp and railings leading to an Igloo.